Apple‘s latest selection of “Get A Mac” TV advertisements includes “Legal Copy”, a dig at the qualifications needed for any claims of superiority for the PC. Justin Long as “a Mac” and John Hodgman as “a PC,” talk about the long paragraphs of type that appear in front of them. 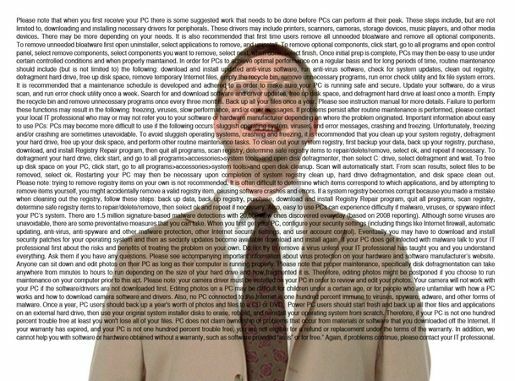 The text appears every time PC makes a claim about himself as an incredibly easy to use PC. Getting started with a PC is the easiest thing in the world. PCs are now 100% trouble free…. For a copy of the text used on the screen see MacJournals. The Get A Mac campaign was developed at TBWA\Media Arts Lab by chief creative officer Lee Clow, executive creative directors Duncan Milner and Eric Grunbaum, creative director Jason Sperling, associate creative directors/art directors Chuck Monn, Jamie Reilly, senior copywriters Kevin Tenglin, Krista Wicklund, agency producers Serena Auroux, Mike Refuerzo and Chrissy Gilmartin. Filming was shot by director Phil Morrison via Epoch Films with director of photography Peter Donahue. Editor was Lucas Eskin, who has just moved from Mad River Post to Filmcore. Post production was done at D-Train by Ben Gibbs.